In the early 20th century, the city became a focus of anti-Ottoman unrest, which resulted in the Ilinden-Preobrazhenie Uprisinq of 1903. A Bulgarian army captured Serres during the First Balkan War on November 6, 1912, but was forced to withdraw by Greek forces commanded by the King of Greece, Constantine I, during the Second Balkan War. The first officer of the Hellenic Army to enter Serres was infantry colonel Napoleon Sotilis, head of the Seventh Greek Infanrty Regiment on July 11, 1913. As the National Schism erupted in Greece during the First World War, Serres was temporarily occupied by the Central Powers after King Constantine ordered the local garrison not to resist to a token force of theImperial german Army. The city was liberated in 1917 by Greek-French Entente forces under the Venzelos government. During the Second World War, after the conquest of mainland Greece by Nazi Germany in 1941, Serres was assigned by the Nazis to their Bulgarian allies, who occupied the city until the Allied liberation of Greece in 1944. In 1943, Serres' Jewish population was deported by the Gestapo and exterminated. There was a significant resistance movement in the city during the occupation. In the postwar years, the city's population grew substantially, and there was also a significant rise in the standard of living. The long-serving conservative Greek Prime Minister Constantine Karamanlis was a native of Serres, and as a result its people could count on the support of the central Greek government in Athens. However, the villages in the plains around the city were not so lucky; the low prices of agricultural products led many people of these villages to emigrate, mostly to the USA and West Germany. The city is capital of the Serres regional unit and second largest city in the region of Central Macedonia, sfter Thessaloniki. Serres is one of the administrative and economic centers of Northern Greece. 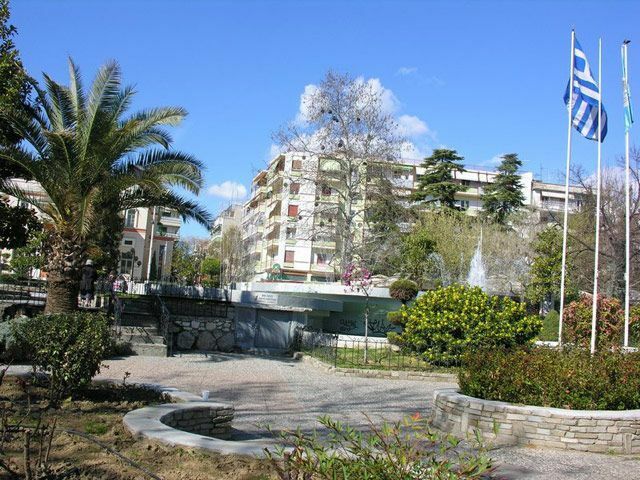 The city is situated in a fertile plain at an elevation of about 70 metres, 24 kilometres northeast of the Strymon river and 69 km north-east of Thessaloniki. Serres' official municipal population was 76,817 in 2011 with the total number of people living in the city and its immediate surroundings estimated at around 100,000. Serres is the capital of a primarily agricultural district and is an important trade centre for tobacco, grain and livestock. Following the development of a government-sponsored manufacturing area in the late 20th century, it has also become a centre for the production of textiles and other manufactured items. Serres is gifted with exceptional natural beauty, unique archaeological sites and impressive historical monuments. Poles of attraction are winter sport in the ski centre of Laidia, Byzantine castles, monasteries and a curative source in Nigrita.